This realization coincided with some up-close-and-personal transformation, courtesy of Mother Nature, right in my own back yard. 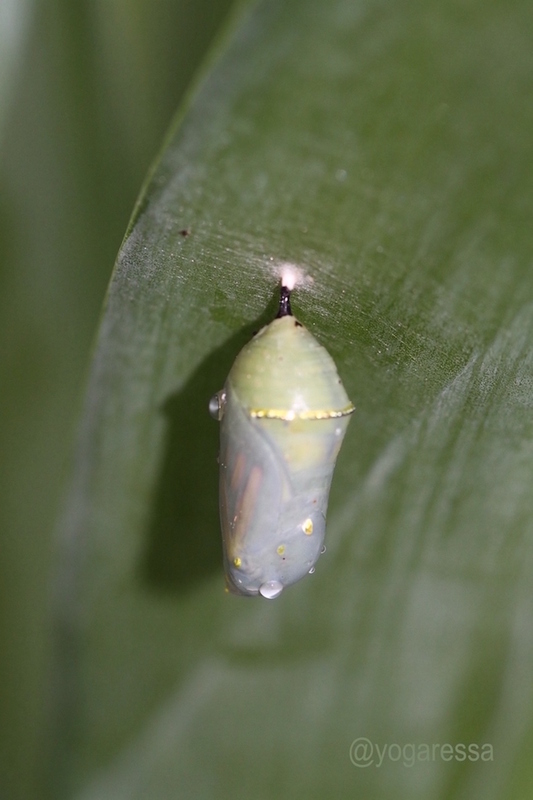 I had noticed a monarch caterpillar hanging upside down, in an umbrella stick J curve, preparing to turn into a chrysalis. I’m nuts about nature, so I spent the next ten days taking hundreds of photographs of each evolution phase. 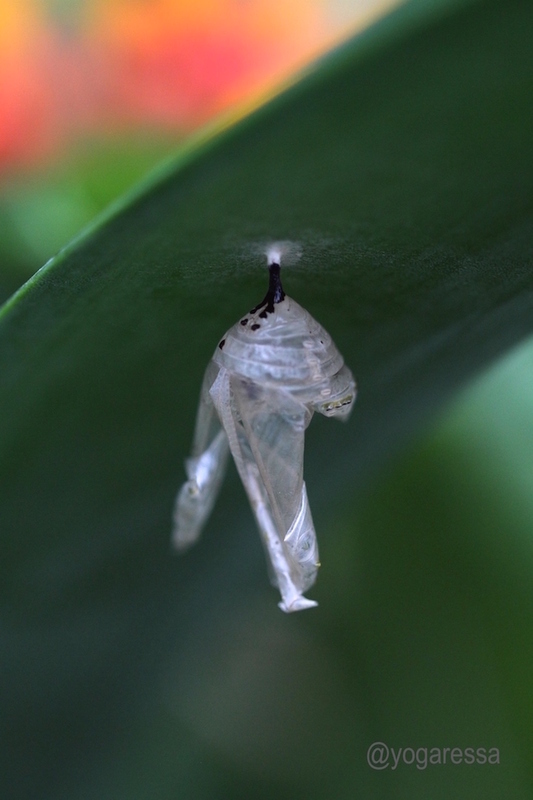 We’ve always had an endless stream of butterflies in our garden, but I’d never observed a butterfly “eclosion”, never seen one coming out of its chrysalis. Since this marvel of nature takes no more than two minutes, it’s a stroke of luck to be there when they hit the Go, lepidopteron! button. 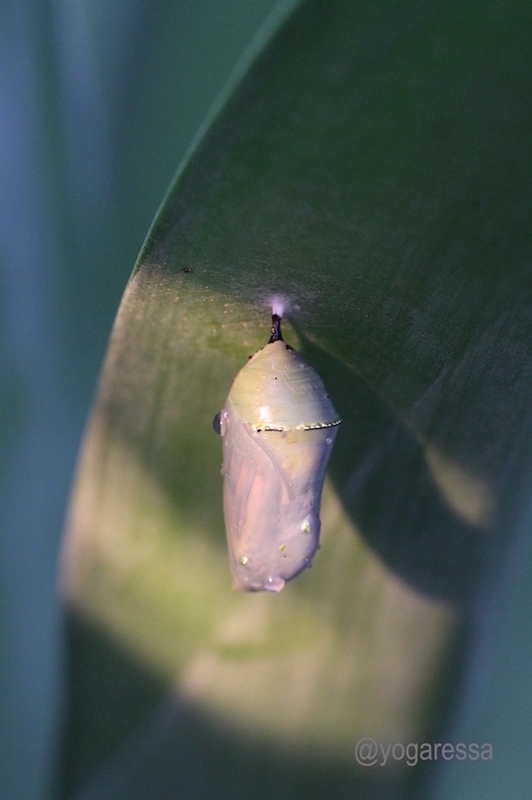 With each day of photography, I had become more personally vested in this particular pupa, captivated by what was going on inside that pod of mystery. 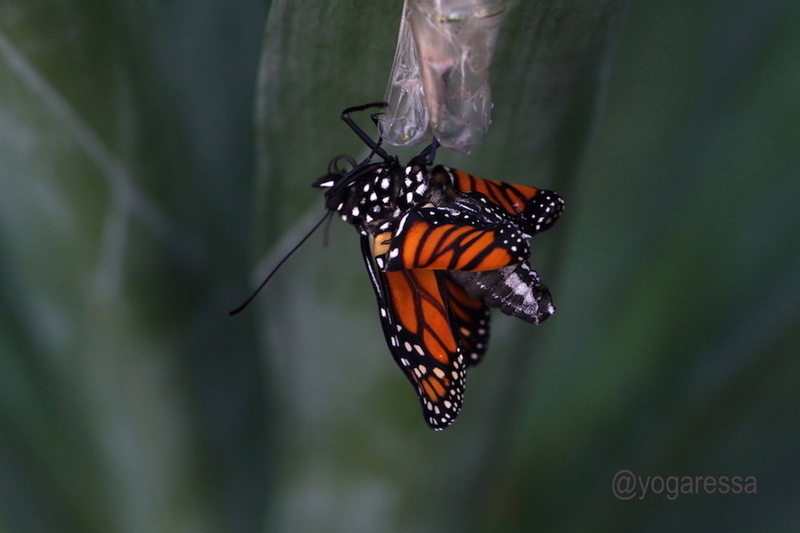 I just had a feeling I was going to see the butterfly emerge into the world. “Today’s the day”, I thought. I knew it. It was time for me to mutate from caterpillar to butterfly. 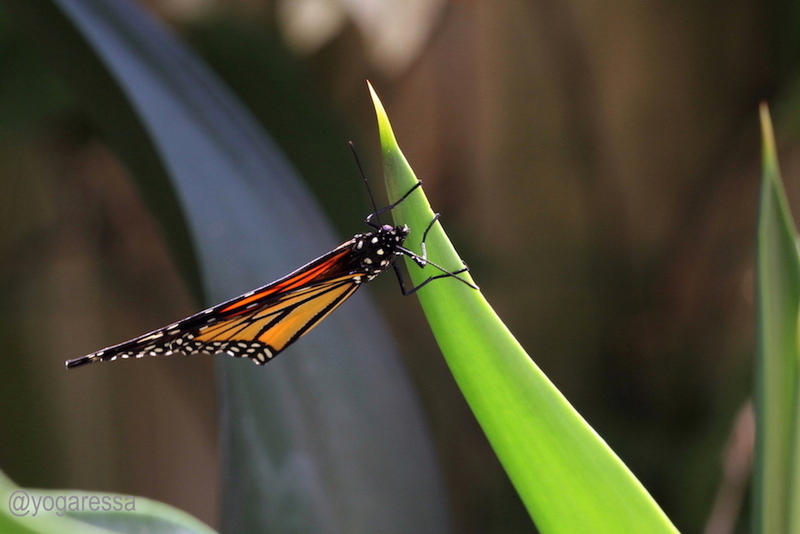 “What the caterpillar calls the end of the world, the master calls a butterfly”, says esteemed author, Richard Bach. It would be melodramatic to say it was the end of my world, but I was certainly stuck. 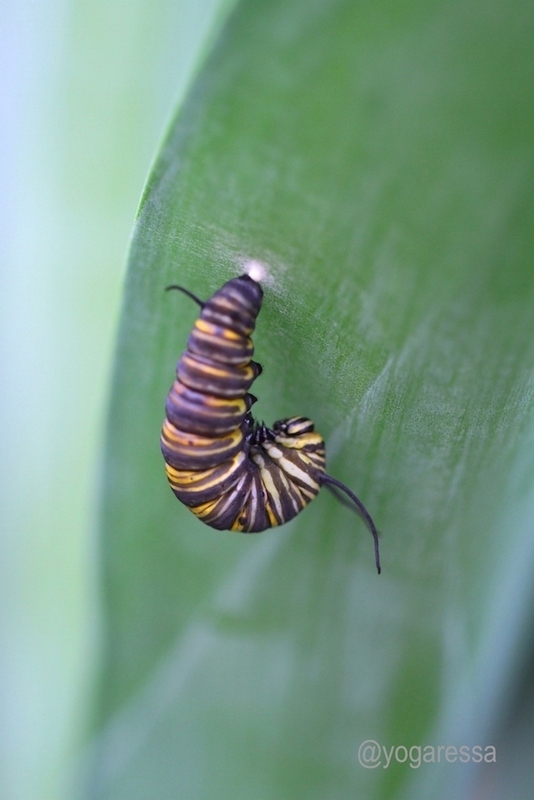 I wanted to be a butterfly, but I was scared I might fail at that, so I just carried on being a caterpillar, munching away on my leaves of self-doubt, insecurity and vacillation. 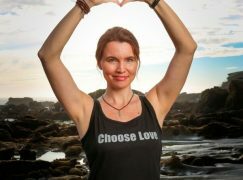 Until my desire to be a full-time yoga educator and commit fully to sharing my knowledge and experience, made me realize the time had come to transform negative thought patterns into positive possibilities. For years, I’d been asked to record a yoga CD; something to help ease people into meditation, or to find the peace they felt during Savasana. 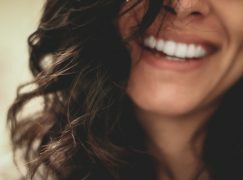 I’d smile at them, mumble something noncommittal, feeling flattered while at the same time hearing that inner critic saying, “You? Record a CD? Puh-leeze!”, competing with an even louder voice shouting, “Who do you think you are!” Well, clearly I thought I was a caterpillar. Reaching out with my hand, I felt the thrill of this newly-born butterfly attach its little feathery feet onto my finger, holding on while I moved it to a safer place. 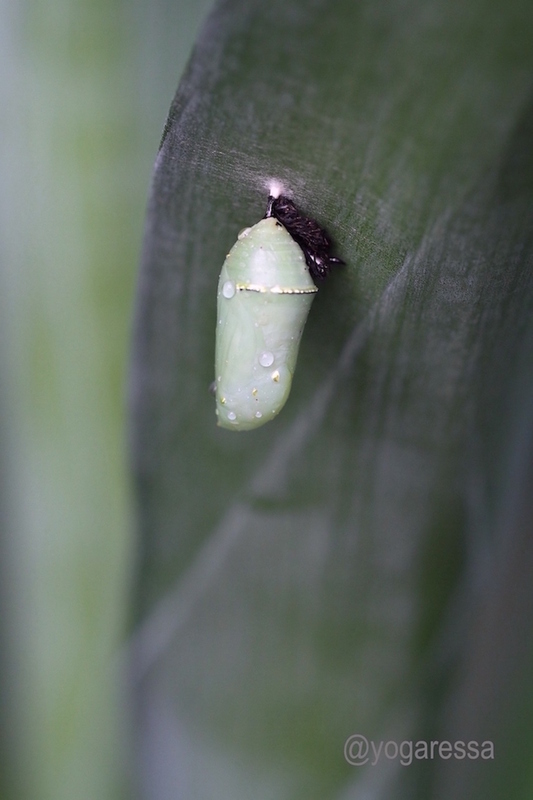 I stared in awe at something I had seen as a caterpillar, just ten days before. 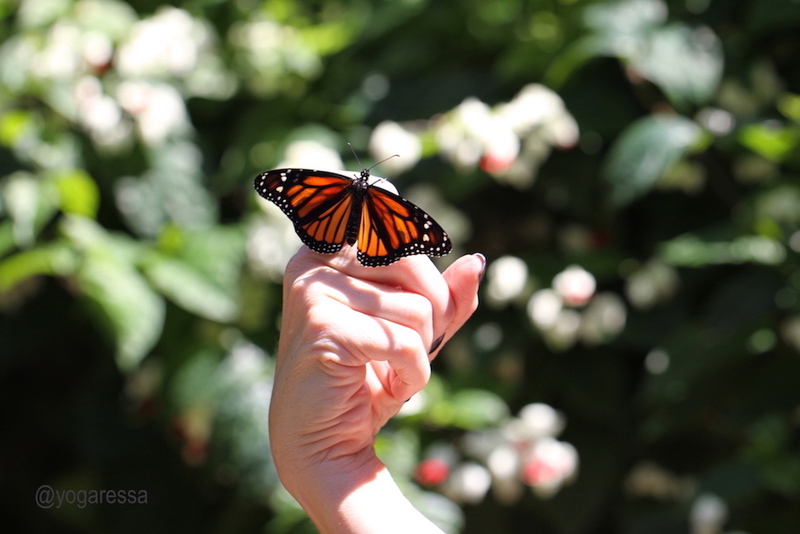 Now it was a winged beauty, resting on my hand, its metamorphosis one of Nature's unsolved mysteries. 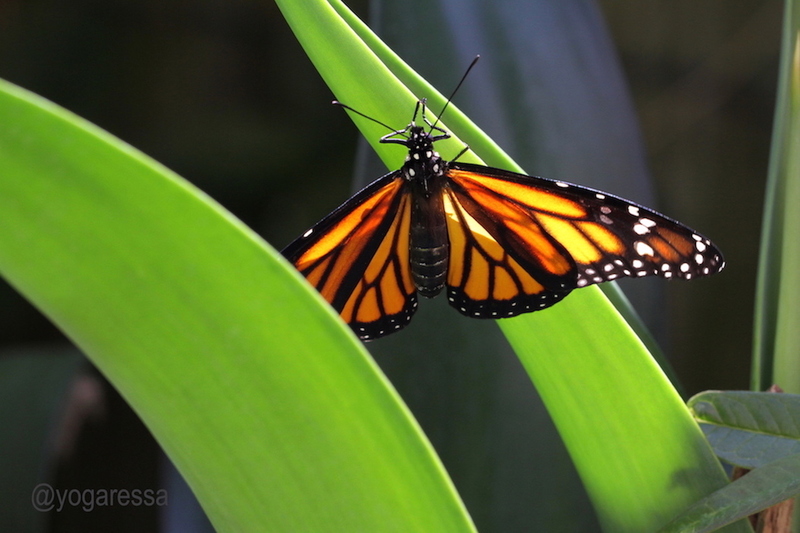 She completed the transition, taking flight and soaring upward, a vibrant, orange fluttering against impossibly blue sky. It was a blazing hot morning. My camera and tripod were outside and poised for action, mere inches in front of the chrysalis; which was now displaying all the tantalizing colors and patterns of soon-to-be-butterfly wings, wrapped in its fragile, transparent casing.I was inside, chatting to a friend about the joy of nature, when something told me to take a peek outside, so we did. Nature’s miracle was in process. 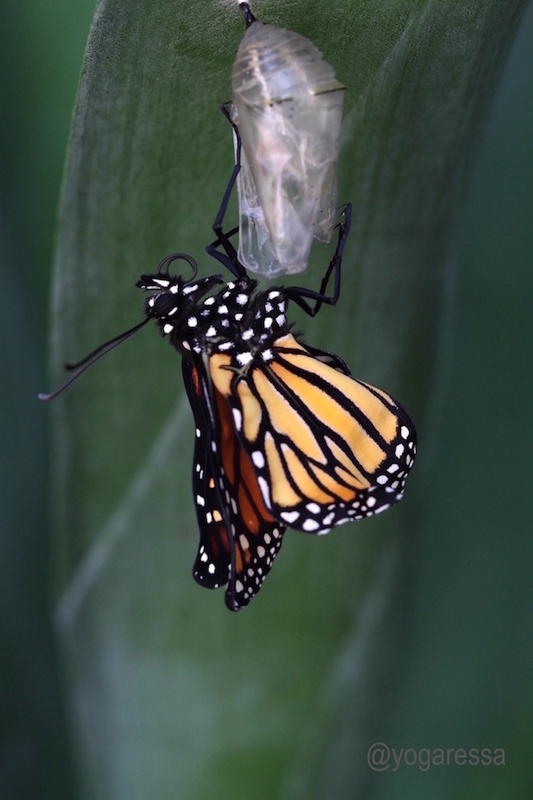 The butterfly had broken through the chrysalis and was starting to crawl out, unfolding and unfurling right in front of us. Every week, I felt growing conviction that I was on the right path, that I was following my vocation. 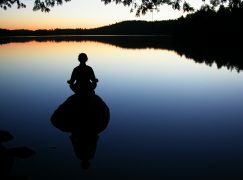 I plunged full-time into teaching and produced my first Yoga Nidra guided relaxation CD. This produced a sense of accomplishment, but the real reward was hearing how much people enjoy listening to the CD every night, or how it helps them with their own transition from anxiety, fear, depression, or grief, towards a place of more ease or purpose. Their positive experience inspires me to continue with this work. 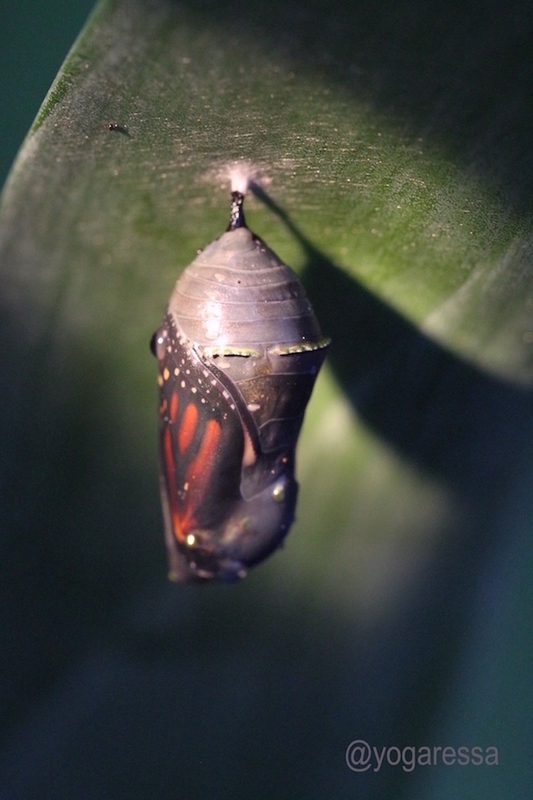 When you know you are ready to be a butterfly, but transformation seems out of reach, simply dropping any limiting self beliefs is an excellent start. I did exactly that. You can, too. Hit your own Go for it! button and break out of your pod. Just like the butterfly. 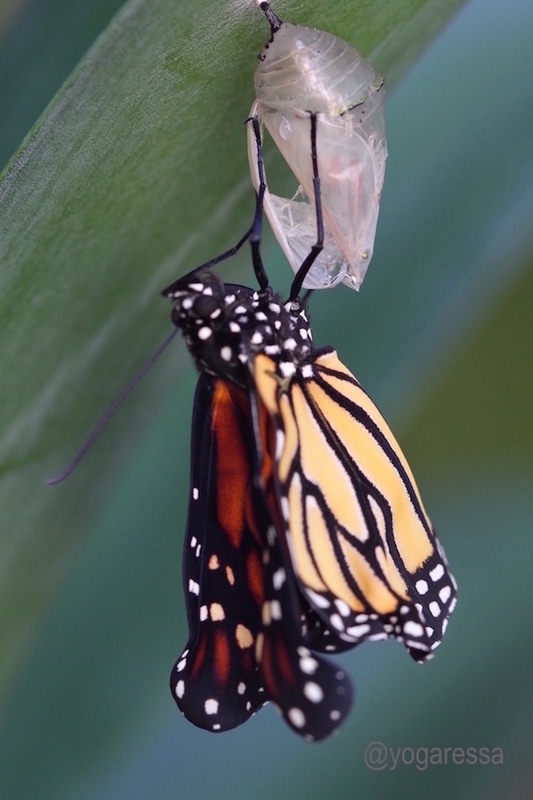 My version of the shedding of caterpillar skin was to discard self-doubt and emerge with the buckets of confidence my yoga students seemed to think I had. 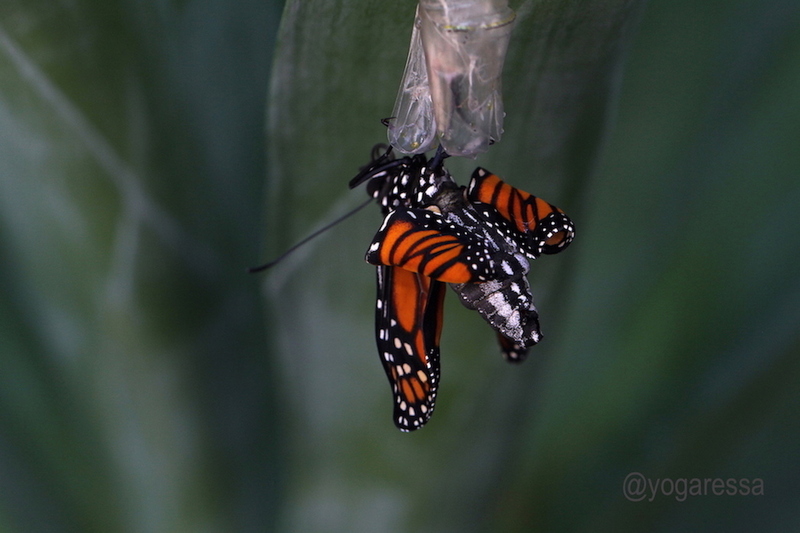 The spectacular nature show was over quickly, followed by two hours of patiently preparing her wings for flight. I had been teaching yoga and meditation part-time for several years, but there was almost always an inner critic that quietly (and sometimes not so quietly) pooh-poohed my progress, or dismissed encouragement from students and fellow yoga teachers, as not really true. 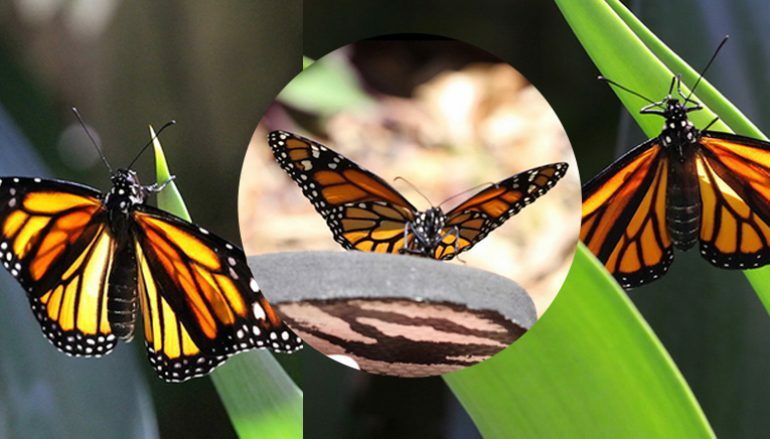 We followed it all, keeping an eye out for possible predators, as the butterfly moved clumsily from its shell, faltered and stumbled on the ground, eventually crawling up onto the edge of my flip-flop, still flapping her wings open and closed, in slow motion. 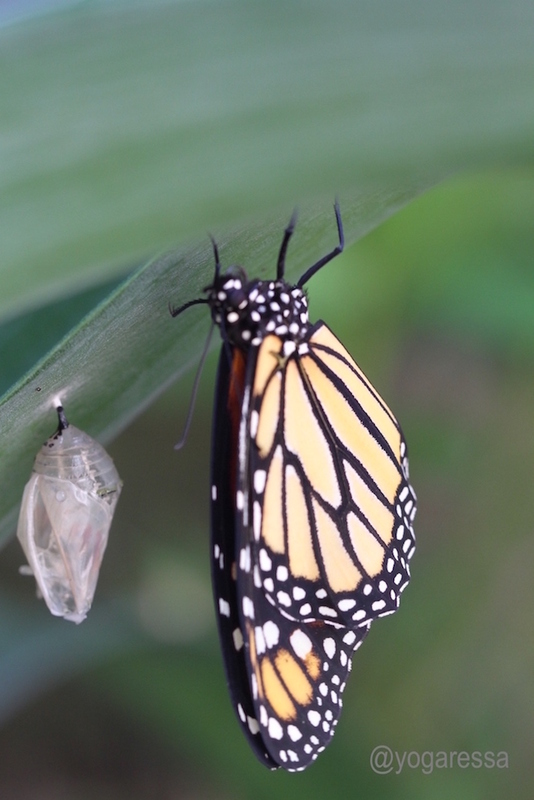 I had witnessed the master of transformation, and it inspired me to make my own changes; removing habitual thought patterns that got in my way. It didn’t happen overnight, but I changed my mindset and persistently turned negative beliefs into positive intentions and action. The months that followed saw me shift from doubt to certainty, armed with affirmations and bolstered by a loving husband, friends and family who believed in me. I yelled in excitement and threw myself onto the ground, click-click-clicking away, while hollering and cheering her on (yes, she was a she, identifiable by her markings). White polka dots, black stripes, orange, yellow, red — a swirl of pulsating colors as she pumped liquid from her glossy abdomen into her crinkled wings, expanding them into sturdy structures capable of flight. “Magic is happening”, said my friend, Kristin. And it was. 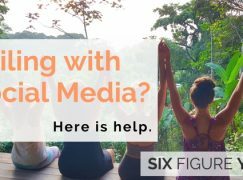 I noticed my personal meditation and affirmation practice was starting to override the inner critic (revelation: the stuff we teach our students actually works when we do it ourselves), and I started to believe I had something of value to offer the world.